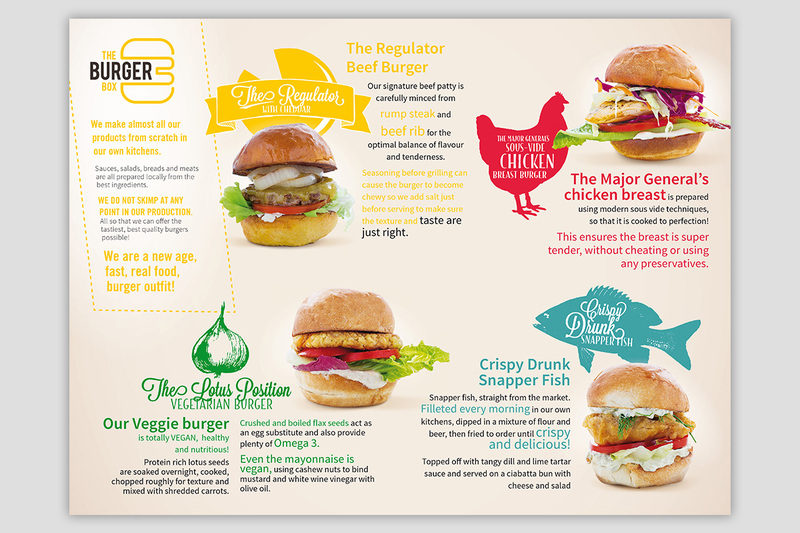 The Burger Box is a new dining concept from The KAfe Group. Launched earlier this month, it combines the Real Food, Real Passion philosophy of The KAfe with a new take on fast food. 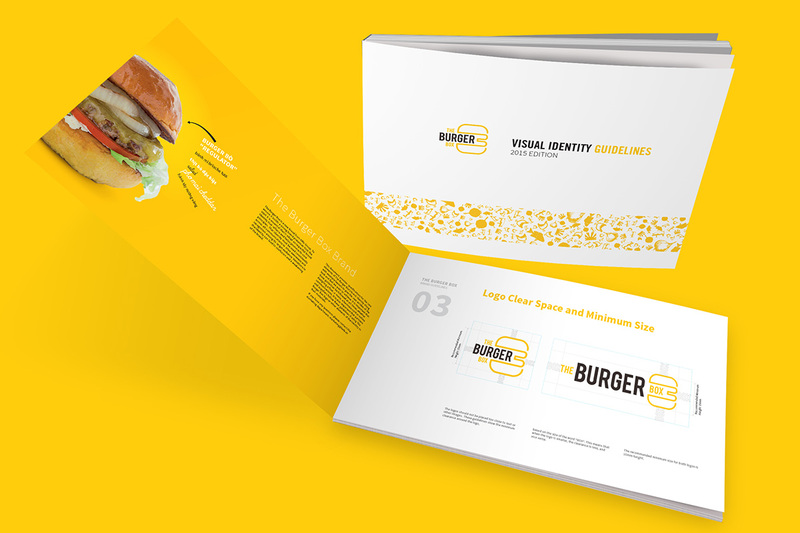 Our brief was to develop and apply a brand identity across the interior, packaging, menus and other communication. In less than a month. 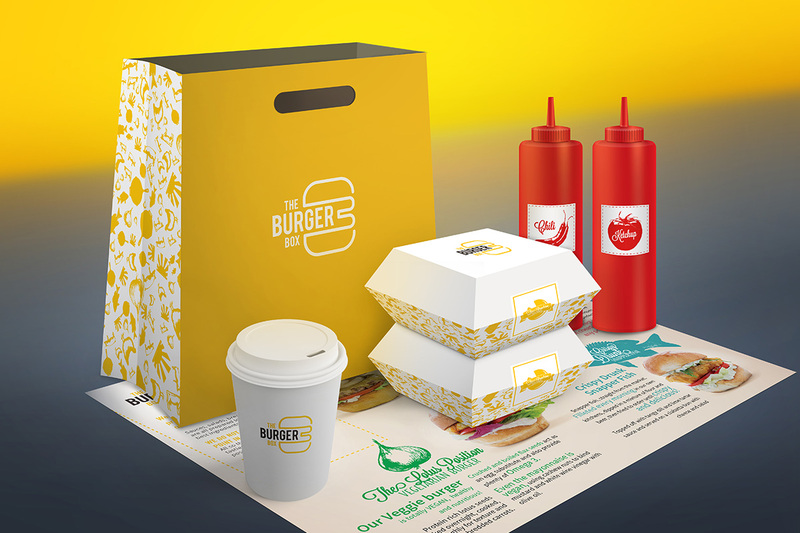 The Burger Box now has its own distinctive branding and style: outlets are small and designed to facilitate the ordering process; packaging has been kept simple but efficient, suitable for both dine-in and take-away; and in-store branding and communications are vibrant, impactful and full of personality.